Born and educated in Melbourne Richard graduated from the Swinburne Film and Television School in 1979 with a Diploma of Art. In the same year, he completed his first film, a 25 minute drama, EVICTIONS, which won the Erwin Rado Prize at the Melbourne Film Festival. Between 1981 and 1983, Richard wrote and then directed STRIKEBOUND, his first feature film. It was nominated for nine A.F.I. Film Awards including Best Film in 1984. STRIKEBOUND played Cannes, Venice, Edinburgh Film Festivals, receiving high praise in Australia and overseas from film critics and the film industry. It had a successful commercial release in Melbourne, and also screened in other capital cities and in England. In 1985 Richard directed a 50 minute film, WHITE CITY, for Pete Townshend of The Who in London. He then returned to Australia to work on the production of DOGS IN SPACE. DOGS IN SPACE was written and directed by Richard and is his first feature film collaboration with producer, Glenys Row. Richard has won the Australian Countdown Award for Best Rock Video in 1983, 1984 and 1986. He also won a Logie at the Australian television awards in 1986 for his rock clip, What You Need by INXS. 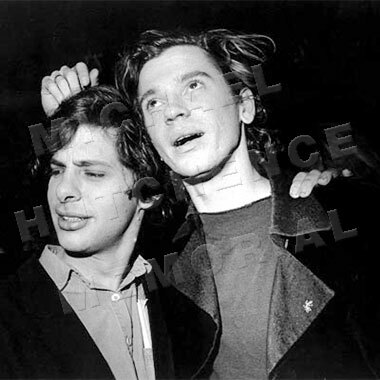 At 26, Richard Lowenstein was regarded as the hottest new talent in the Australian film industry. Born in Melbourne in 1953, Glenys attended University High School before moving to Adelaide and graduating from Flinders University in 1977 with a B.A. (Hons) degree majoring in film. In 1978 as a manager of the National Film Theatre of Australia she was responsible for the organisation and promotion of imported film seasons, her passion being the work of the new German directors. 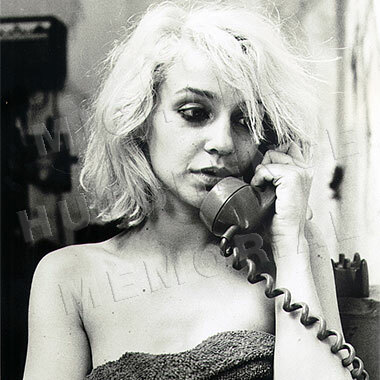 In 1979 she left Australia to attend the Oberhausen Film Festival where she met Richard Lowenstein, there to present his first film EVICTIONS. During the following two years, Glenys sold independent Australian films in Europe and Britain and working as an agent for Australian filmmakers, attended many of the major film festivals, including Cannes, Berlin, Florence, Leipzig and London. In 1981 she returned to Australia to work with the Australian Film Commission as distribution manager for the Creative Development Branch for 12 months. She then became exhibition manager at the Australian Film Institute, programming their three cinemas. After leaving the AFI in 1983, Glenys worked as an independent film distributor for 12 months and then joined Ronin Films to market Bob Connolly and Robin Anderson’s Academy Award nominated FIRST CONTACT and Richard Lowenstein’s STRIKEBOUND. In March 1985 Glenys commenced work as producer of DOGS IN SPACE. She has plans to produce two more films in the near future. Ollie Olsen is a musician and a composer. He was born in Melbourne and studied synthesiser at an electronic music course and then taught himself guitar before playing in rock groups in the mid-seventies. In 1979 he formed his own band, Whirlywirld. Whirlywirld played in Melbourne for two years and gradually developed a reputation as an innovative avant garde band combining electronic music, noise and punk music with the sound of wild jazz. They played the pub circuit and quickly developed cult status in the alternative music scene. Ollie lived in Europe and Britain between 1981 and 1984 and attempted, unsuccessfully, to get a band, Hugo Klang, off the ground. Ollie returned to Australia in 1984 and played with Hugo Klang and then Orchestra of Skin and Bone. In 1984 Richard Lowenstein approached Ollie to have Whirlywirld appear in DOGS IN SPACE. Ollie has supervised the reforming of many of the little bands and then worked on the production of music recordings of the little bands for the DOGS IN SPACE soundtrack. 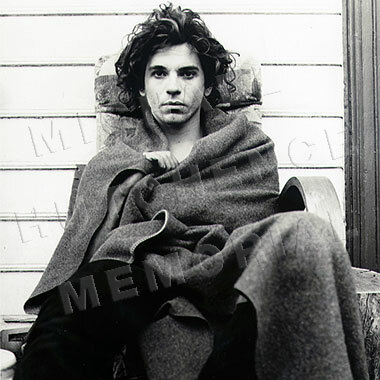 Ollie Olsen also composed the song, ‘Rooms for the Memory’, sung by Michael Hutchence and to be released as a single to coincide with the Australian premiere of the film. Ollie Olsen now lives in Fitzroy and is working on rehearsals for his new band. No. He plans to compose music for films in the future. Born and educated in Melbourne, Jill graduated from Swinburne College with a Diploma in Art, specialising in film and television. After college, Jill started off with Fred Schepisi at Film House where she served in production and editing on commercials and documentaries. She then spent a year teaching art and filmmaking at Preston Technical College before working on Fred Schepisi’s THE CHANT OF JIMMY BLACKSMITH. Jill’s feature film credits including STRIKEBOUND, JUST FRIENDS and THE MORE THINGS CHANGE. Jill lives in Melbourne and has travelled extensively overseas in China and South America. Born and educated in Melbourne, Dean started in the film industry with Crawford Productions as an assistant sound editor and boom operator and then sound editor on DIVISION FOUR, MATLOCK POLICE, HOMICIDE and THE SULLIVANS. After leaving Crawford Productions, Dean worked as a sound editor on Fred Schepisi’s THE CHANT OF JIMMY BLACKSMITH. Since then, he has worked on numerous feature films, including Richard Lowenstein’s STRIKEBOUND and Ray Lawrence’s BLISS. Dean also worked on the award winning television mini-series, A TOWN LIKE ALICE. Dean lives and works in Sydney but holds a special fondness for Melbourne because it adopts a more explanatory approach to sound in film production.